I wanted this painting to be about just a Delft blue plate: the simple beauty of the imperfect cracked plate in a solemn, serene setting. The crack and chips catch the light which gently brushes over the plate. The painting is on wood panel, giving it a beautiful feel and soft surface. Slow down, stand or sit back and just enjoy the activity of ‘looking’. 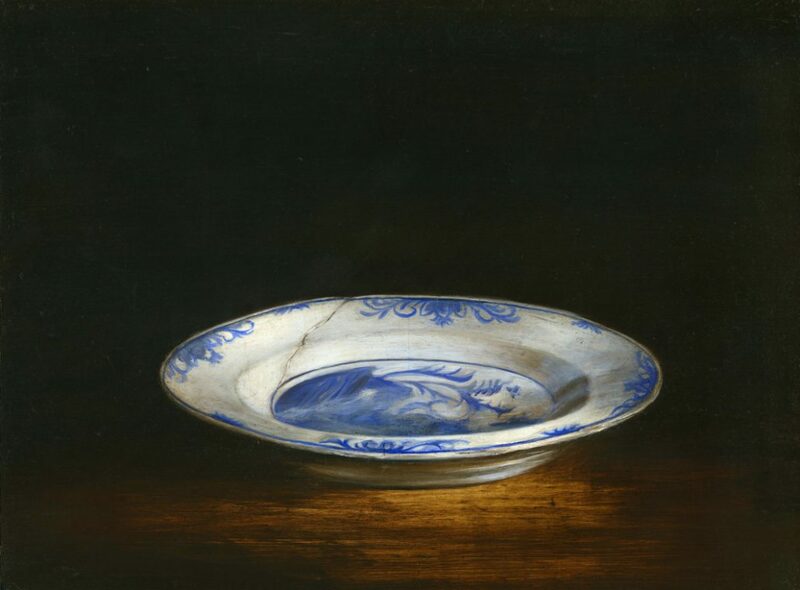 Small still life with Delft plate was exhibited and sold at the Mall Galleries London, Society of Women Artists 156th annual exhibition, 3-9 July 2017.